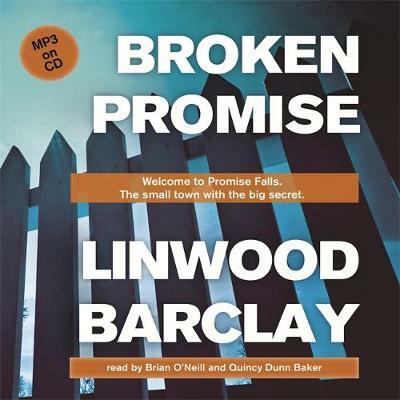 Broken Promise is the first book in the epic Promise Falls Trilogy from master of the thriller, Linwood Barclay. When David Harwood is asked to look in on his cousin Marla, who is still traumatised after losing her baby, he thinks it will be some temporary relief from his dead-end life. But when he arrives, he's disturbed to find blood on Marla's front door. He's even more disturbed to find Marla looking after a baby, a baby she claims was delivered to her 'by an angel'. Soon after, a woman's body is discovered, stabbed to death, with her own baby missing. It looks as if Marla has done something truly terrible. But while the evidence seems overwhelming, David just can't believe that his cousin is a murderer. In which case, who did kill Rosemary Gaynor? Why did they then take her baby and give it to Marla? It's up to David to find out what really happened, but he soon discovers that the truth could be worse than he ever imagined . . .